From the audience, that 2009 Sunday matinee performance in Davies Hall, nothing seemed amiss. Gautier Capuçon’s rendition of the Schumann Cello Concerto with the San Francisco Symphony won me over instantly, as did his stage charisma—and, okay, those cinematic good looks of his. Two years later, his thoughtful, nuanced performance of Henri Dutilleux’s “Tout un Monde Lointain, ” again with the San Francisco Symphony, was equally sublime. (Read my blog on it HERE.) It was only when I researched him for this blog, in the aftermath of another brilliant performance with the SFS (Elgar Cello Concerto in May—okay, I’m woefully behind here) that I learned he’d suffered an appendicitis attack, back in 2009, smack in the middle of his intended debut performance with the San Francisco Symphony. The Sunday matinee I saw him? Less than 36 hours after emergency surgery. What was to have been his third performance had become his debut. Lucky, lucky us, we who’d had Sunday matinee tickets! Here’s the story in his own words, courtesy of an interview with San Francisco Classical Voice. “The night before my debut, I met with Semyon Bychkov. We were preparing for the Schumann concerto. The next morning was the first rehearsal with the orchestra, and it went really well. I was so excited! Then I started having stomach problems. I knew something strange was going on inside. You know how some people have stomach problems when they are nervous? I’d never had stomach problems in my whole life. Of course, it was appendicitis and they operated on me right away. Afterwards the doctor told me if I had waited five more minutes it would have ruptured and I probably would have died. I was quite lucky. Capuçon was born in Chambery, France, in 1981. Musical talent runs in the family; his older brother Renaud is an equally accomplished, world class violinist, with whom he frequently collaborates. He began to play the cello at age 5, commencing formal musical education in his hometown at the Ecole Nationale de Musique de Chambéry. He studied thereafter in Paris, first at the Conservatoire Supérieur de Paris (CNR) and then at the Conservatoire National Superieur de Musique, with Philippe Muller and Annie Cochet-Zakine (and later with Heinrich Schiff in Vienna). He’s the winner of various first prizes in international competitions, including the International André Navarra Prize, and in 2001 was named ‘New Talent of the Year’ by Victoires de la Musique (the French equivalent of a Grammy). In 2004 he received a Borletti-Buitoni Trust Award. He plays a 1701 Matteo Goffriler cello. Capuçon is tremendously interesting to watch perform. He’s reminiscent of pianist extraordinaire Yuja Wang, in that you can see and almost feel their curiosity, their interplay with the music: the notes, tonal colors and nuances. 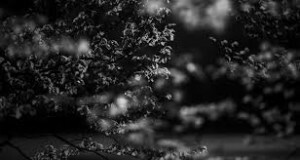 They’re immersed in the process of interpretation, almost dialoguing with it, brows furrowed in concentration only to be resolved a moment later with a slight nod, a yes, that was it; that was the feeling/sound I’d been striving for. To watch supremely talented artists working so deeply in the process makes it both a thrill and an honor to watch. It’s live performing at its best. Throw in good looks, an innate sensuality, and whoa, it’s especially fun. Although Gautier Capuçon doesn’t have a lot of tours within the U.S. lined up this fall, he will be in New York on October 21 – 25 at Avery Fisher Hall, with the New York Philharmonic. He’ll be performing one of my absolute favorites: the Brahms Double Concerto, with violinist Lisa Batiashvili. It’s worth going a long way to see but, regretfully, my San Francisco Bay Area base is a wee bit too far. So, those of you readers on the East Coast, please go see it for me. And after New York City, over the next four months, Capuçon will perform in, among other cities, Amsterdam, Beijing, Seoul, Tokyo, Vienna, Paris, London. Just in case, you know, you’re in the neighborhood. For those of us most decidedly not in the neighborhood, here are more YouTube clips you might enjoy. This first one is a rehearsal with Capuçon and renowned conductor Valery Gergiev (whose name ballet folks might recognize; he’s the general and artistic director of the Mariinsky Theatre). The rehearsal takes place in a church, I believe in France. I love these more relaxed, behind-the-scenes glimpses of a musician at work. It’s fun to see Valery Gergiev in a baseball cap and Gautier Capuçon in a white tee shirt and jeans, intent on rehearsing and not performing for the camera. Watch it all the way through; it’s great. The music is wonderful, but I’m not sure what it is. Can anyone help me here? And last but not least, want to see Capuçon and Yuja Wang perform together? Eye candy for both the sexes! 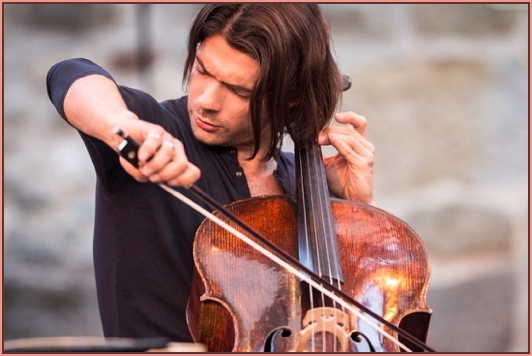 This entry was posted in Classical Music and tagged French cellist, Gautier Capucon, Gautier Capucon appendicitis, Henri Dutilleux Tout un Monde Lointain, San Francisco Symphony and Gautier Capucon, Yuja Wang on September 26, 2015 by admin. Mstislav Rostropovich commissioned this cello concerto. The poetry of Charles Baudelaire inspired it, albeit loosely. 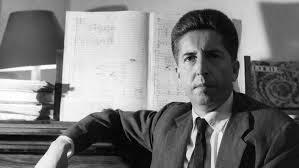 Pierre Boulez disdained its composer, Henri Dutilleux, and his work, which might be why Henri Dutilleux isn’t as famous as Pierre Boulez, who played such a big part in the contemporary classical music scene in post WW II France. The concerto’s full title is “Tout un monde lointain… (‘A Whole Distant World…’) for Cello and Orchestra.” I heard it for the first time in 2011, performed by the San Francisco Symphony, featuring cellist Gautier Capuçon. It begins with an ever-so-soft, shimmery sound, a stiff metal brush against a drum head that commences the first movement. Dutilleux claimed that at the night of the concerto’s premiere in Aix-en-Provence, right as the concert began, in that instant, “a new breeze began gently to rustle the leaves of the plane tree, like the sound of waves and very similar to what I had been searching for when I wrote the score.” Which is a pretty cool thing to have happen. And thus, under that magic spell, the cello begins, offering its contemplative reply. Listening, I felt as if I’d been transported inside a movie. One of those older ones, the kind you saw first as a kid, and it utterly engrossed you, encapsulated you, and of course it had a great soundtrack; it was all about the soundtrack, and was likely a mystery, a black and white one, a thoughtful movie, something sort of Twilight Zone-ish. 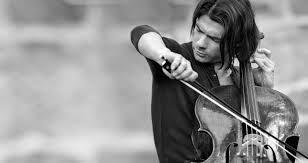 French-born and trained Gautier Capuçon, as the soloist, was sublime. This was the second time I’d seen him perform and his efforts never fail to render me starry-eyed with admiration and infatuation. 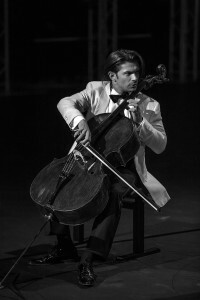 He had a thoughtful, intelligent way of playing the concerto, head angled in, as if he were finding the notes, the music, that was there, deep within the cello. He wasn’t making music so much as releasing it into the air. I can’t decide if his stellar playing is in part due to his charismatic good looks and demeanor or that the two simply go hand in hand with him. I first saw him perform the Schumann Cello Concerto in 2009 and, like this night, was completely wowed by him and his performance. My verdict: he is both sublimely talented and pleasing to watch perform. 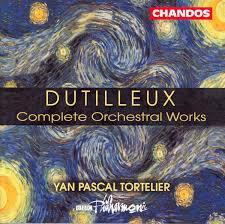 Dutilleux, a mid-to-late 20th century composer who died in 2013, was not a serialist, a twelve-tone-ist, a modernist, a sentimentalist. He shunned “isms” and set styles, and composed from his own well of individualism and carefully crafted creativity. His career was one of “quality not quantity” and won him many accolades and commissions from world-class musicians and ensembles, although he was certainly not a household name, even within the classical music world. Plenty of classical music aficionados have never heard of him or his music. Which is a shame, because this guy composed some damned incredible music. Which is why I’m glad I have The Classical Girl to give Henri Dutilleux a post-humous shout-out. His music is striking. Moody, evocative, conjuring up colors and complex feelings and moods that you’re not sure how to define. And yet, lest we all get too sentimental, in alternating movements of “Tout un monde lointain…” the cello gets feisty, the music harsher, more dissonant. The brass lets out a blast and there’s all sorts of drama going on. Like cockroaches crawling around in the night and you turn on the light in a room and they all scatter in a panic. But just when the third movement of “Tout un Monde Lointain” had me thinking I didn’t really like the concerto that much, the fourth movement brought the strumming of a harp and a return of the dreaminess, albeit with an edge to it—an uneasiness, a mystery, but the kind that draws you in, captivates you. Like seeing a blood-red rose poking out of a snow-covered yard on an overcast winter twilight, and you don’t have shoes on, so you don’t go to check it out closer, you just marvel at the sight. It’s cold and you’re alone, but there’s that compelling, mysterious sight. The concerto’s final movement brings the listener back to agitation, lively discord, melodic but not, with the cello’s final notes just sort of trailing off, as ambiguous an ending as they come. I left the concert hall an hour later, slightly discomfited, not sure exactly what I remembered, or would remember. Perhaps just the memory of Gautier Capuçon’s artistry, those slower, pensive moments where he was bent over his cello, finding those notes, releasing them into the air for the spellbound audience to catch. This article first appeared, in different form, at Violinist.com. You can read it HERE. This entry was posted in Classical Music and tagged 20th century composers, Cello concerto, French 20th century composers, Gautier Capucon, Henri Dutilleux, Mstislav Rostropovich, Pierre Boulez, repertoire for cellists, San Francisco Symphony, Tout un Monde Lointain on June 10, 2015 by admin.